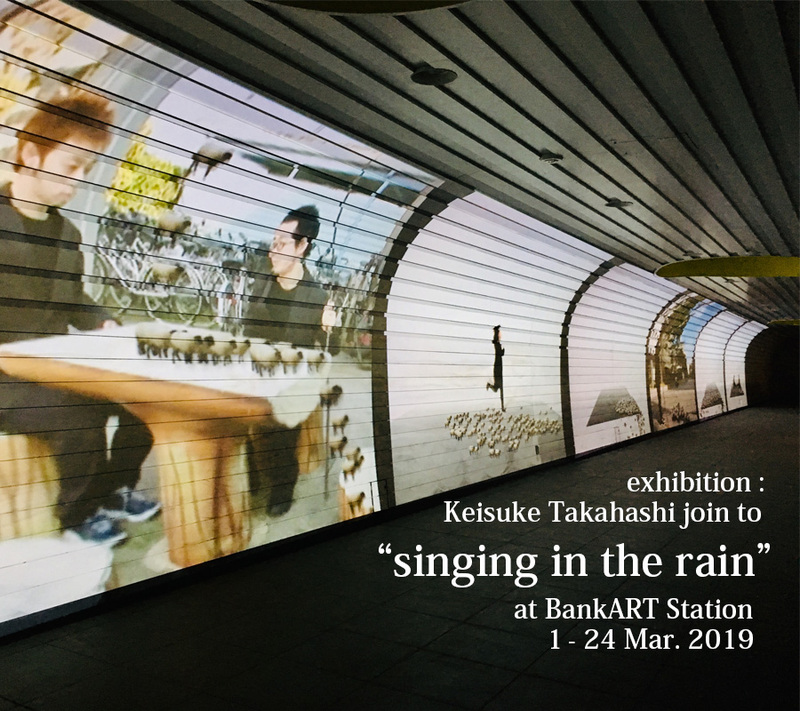 Exhibition "singing in the rain"
Video artist, Keisuke Takahashi has created many visual installations in various space such as museum, gallery, theatre and public space. and he also has created performance pieces and intend to pursue the relationship between body and image. He held the solo exhibition the gallery in Milan, Italy and Taipei, Taiwan, and in Japan, SENDAI Mediatheque, BankArt1929, Ohara Museum and others, and also jointed to the international exhibition such as SHANGHAI Biennial, ECHIGO-TSUMARI Triennial, SETOUCHI Art Triennale and others. His works have been presented in arts festivals throughout Japan and the world. He received the Committee Recommendation Award from Japan Media Arts Festival in 2005. He also has created many performance works as the visual director for the dance company named "Nibroll". I always think about the relationship between the body and the image, and the space. I have always made works by the theme of a body. I re-consider the society through the filter of the body. My purpose is to re-consider the existence of an individual as what comes from a difference caused by spaces, and place the theme in a trial to develop it into communication among human beings. An individual exists in both public and private places. I think about how personal existence is connected to the community to consider a relationship of a body and the space. The video is new media. That technology is still in the process of development. However, I think that the most important value of the video is to record. After 3.11, in Japan, we have lost many things. The lost told us that tomorrow might not be the tomorrow. We have experienced the night which has never come and the night which has never ended at the same time. What we need now is to understand the real meaning of the repetition of both life and death. The day when we must receive it gets closer to us. In the lost days, what can the video record, what does the body record and what do you feel? I think that I have to think about it again.